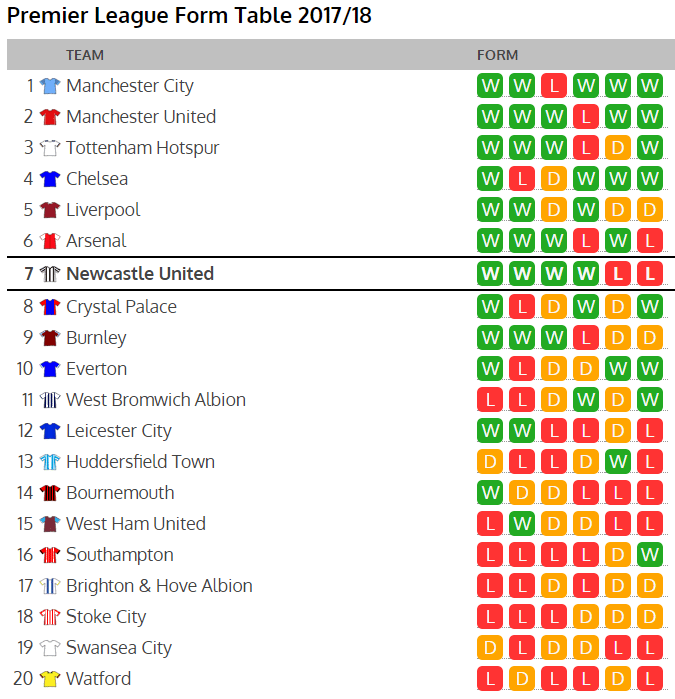 The Premier League form table has taken a bit of a hit for Newcastle United. Consecutive defeats to Everton and West Brom also looking as though they have derailed any realistic chance of finishing as high as eighth. However, a win on Saturday would all but guarantee at least a top ten finish for Rafa Benitez and his players. Despite the disappointment of these last two games, important to recognise the previous form that had led to Newcastle comfortably reaching safety with still a handful of matches remaining. The four wins in a row mean that actually Newcastle are still up there in seventh place in the Premier League form table, with only the usual ‘top six’ putting together better runs of form. As for Saturday’s opponents, Watford are actually at the very bottom of the form table, picking up only two points in these last six games, plus they actually lost the match previous to that as well – making it only two points from their last 21. These points were picked up in home draws against Crystal Palace and Bournemouth, whilst they lost to Burnley at home, as well as losing all three away games in this period. Watford ave failed to score in five of their last seven Premier League matches and little doubt Rafa Benitez will be gutted if his team make it three defeats in a row. Rafa talked of maybe his team losing their ‘intensity’ in the last couple of matches and so little doubt he will have them properly wound up for this one. Before the last two matches, Newcastle had scored in every PL match of 2018 apart from in the defeat at Anfield, so if they can find one or two goals again, you would have to think Rafa’s team have every chance of getting back on the winning trail.